This was my first "serious" job as an architect. I started to design the garage when I was a student. 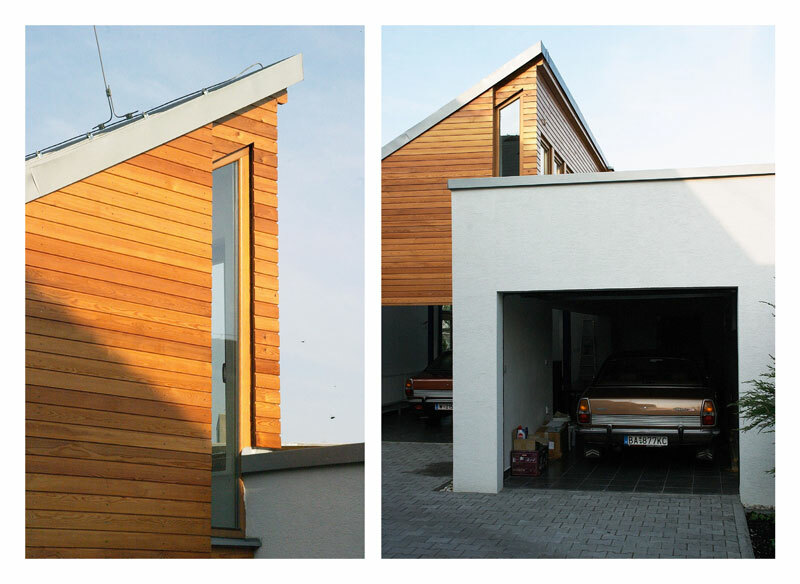 The client was a father of my friend, whose dad /client´s dad/ was a famous Slovak architect in the past. It was really helpful, because, even if the client was not an architect, he grew up surrounded by projects and models, so discussion with him was pretty easy and we found out quite fast the right solution. 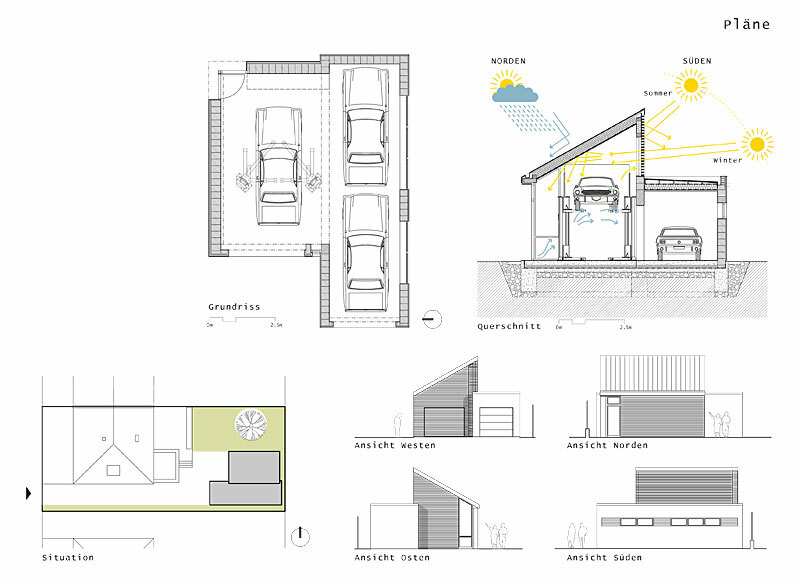 The main goal of the project was to design a garage in backyard of family house, which should fulfill the high spacial standard of the client /parking for three cars, one of them larger and higher with a car-lift /. 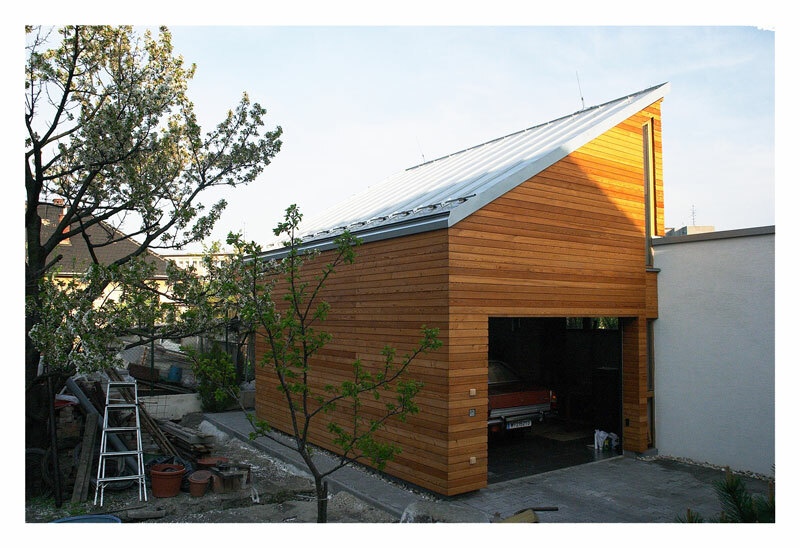 The object of garage is is created by two different volumes. The first-one, slightly higher with shed roof, is orientated to the natural backyard, therefore his skin is natural:is covered by wooden panels (larch). 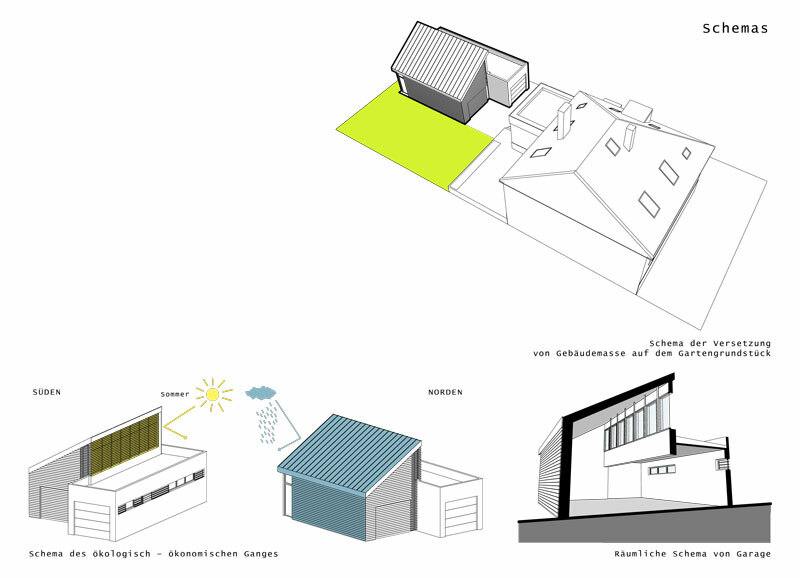 Second-one, lower volume, has the form of a simple white cube with a flat roof. The row of windows in the upper part of the building is exposed to the south, so in winter, with the „participation“ of a solid brick wall with no windows on the north side, works as a form of passive auxiliary heating. This higher volume is equipped with a car-lift, and all kinds of hobby activities. The interior has also good acoustic properties, it can be used as a local hi-fi studio. The walls are made of brick Porotherm - except the north side, which is made of solid bricks for better storage properties of heat. White cube is also isolated with polystyrene from the outside and wooden volume, with the rock wool behind wood paneling /native larch/. 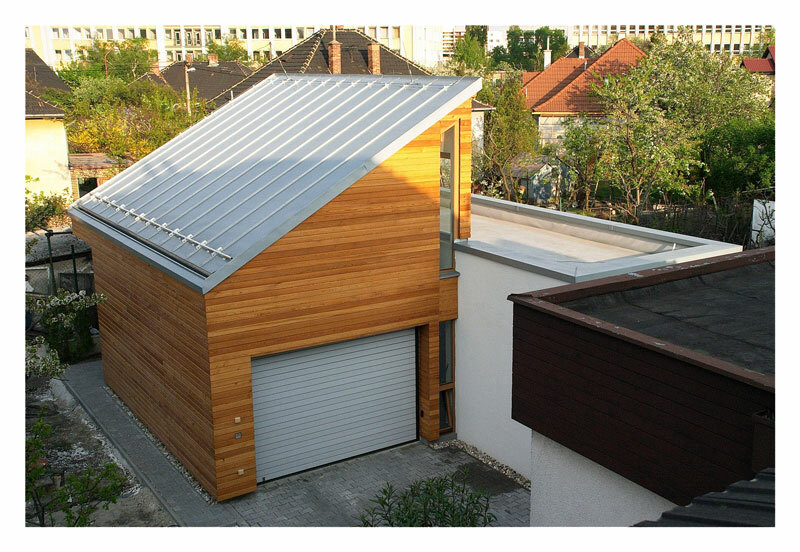 The ventilated shed roof is isolated with 30 cm mineral wool and covered with titanium zinc panels. The flat roof, made with a slight inclination, is also ventilated. 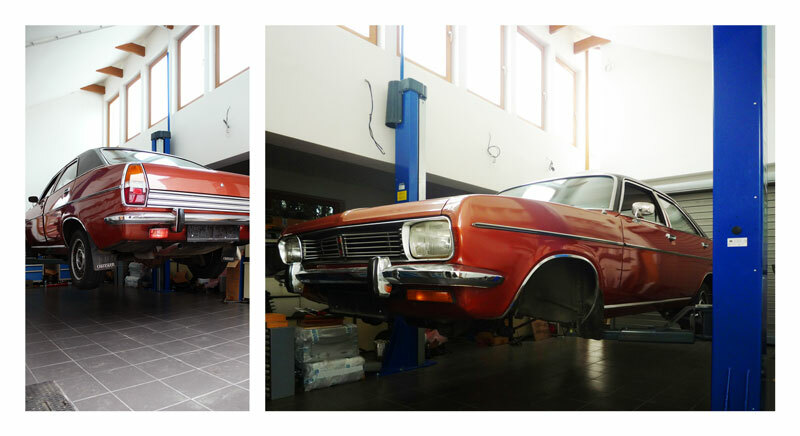 The garage has its own rotary power with a central distribution. Water supply, drainage and the heating works through integration to the central heating of the family house with its own separate circuit panel radiators.